Pet friendly holiday cottages in Dorset. Pets Welcome Cottages – Free Pet Spaces Available. Go to a list of our holiday cottages in Dorset that welcome pets. Almost half of our holiday homes accept dogs and many will accept more than one pet. Pets go free at a selection of Dorset Cottage Holidays, so there is no need to leave your four legged friend behind. 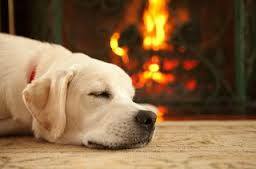 Self catering accommodation is a home from home for your dog and the most relaxing for you as an owner. See why Dorset is the perfect choice for a dog friendly holiday in our diary of a Dorset dog page. If you have a particular location in mind, check out our map of pet friendly cottages. Bringing your doggie to Dorset? 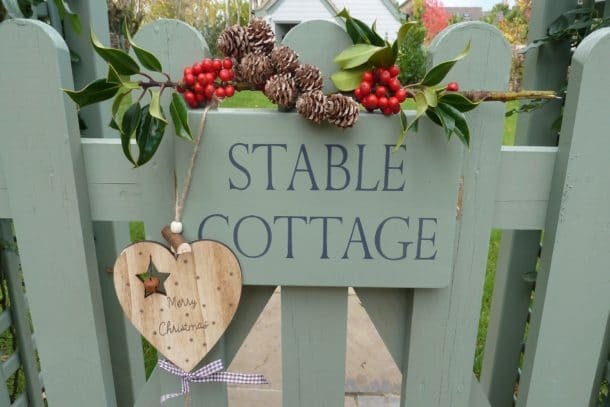 Dorset Cottage Holidays details all you need to know. 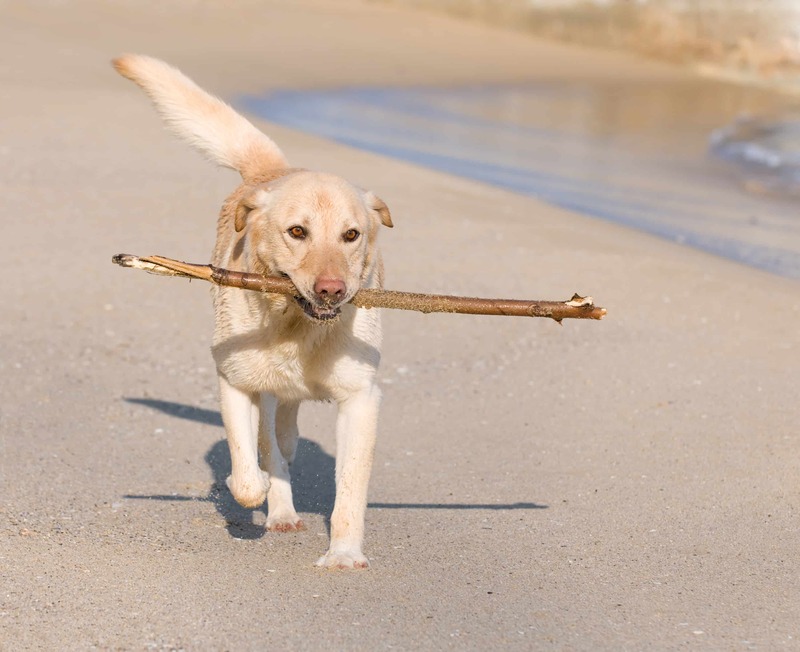 There are over 60 pet friendly beaches in Dorset – need we say more? Visit our map to see locations. A lot of our beaches in Dorset, are open to pets throughout the summer months. Some, like Studland beach, close part of the beach to pets with a good stretch available to walk your dog. You will find a local dog show in Dorset from April to October. The animal sanctuary at Church Knowle hosts one of the largest as does Clayesmore School in its Dorset Show. Classes for all are normally a £1 to enter. Dorset offers a long list of fabulous walks with your pet. Heres our top five. 1) Arne. The nature reserve at Arne is our favourite pet friendly walk. Arne is of the beaten track and little known so quiet and unspoilt. 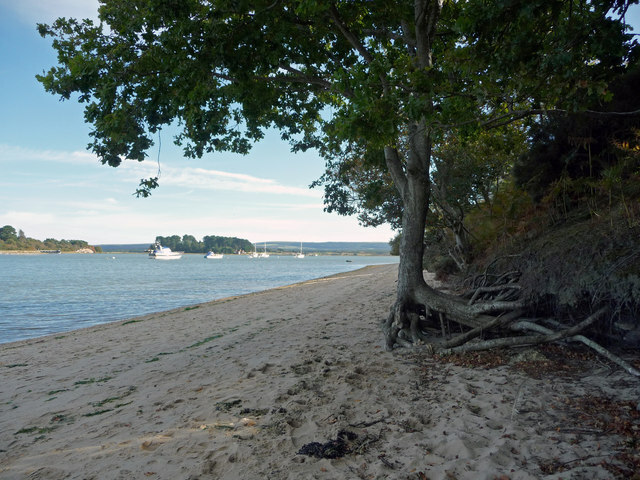 Stroll though a managed woodland and heathland down to a deserted beach where pets can cool off. 2) Wareham Forest. A huge network of paths managed by the forestry commision. Hours and hours of lovely Heathland walks. 3) Studland. The beach is open to all from Oct – May and is popular with dog walkers. Enjoy a bracing stroll along the golden sands. Part of the beach is open to pets in the summer months. The dunes and heathland behind the beach can be enjoyed all year. 4) Hod Hill. Hod Hill is an enormous hill fort in the Blackmore Vale, managed by the National Trust it is home to spectacular wild flowers and butterflies. The steep climb is well worth the stunning view from the top. 5) Badbury Rings. Another iron age hill fort close to the stunning town of Wimborne and the Kingston Lacey estate. Dogs love this area because of the accessible earthworks and woodland on top. Lovely views. welcome pets with a bowl of water at the door. The food is fab (we often lunch here ourselves) and the prices are reasonable for good pub food. Not only that you can enjoy lunch with a view of the ruins of Corfe Castle. The Smugglers Inn at Osmington. The Smugglers Inn is nestled into the beautiful coastal landscape at Osmington Mills, right on the South West Coast Path. Dogs are welcome both inside the pub and in the garden. The Crows Nest in Swanage. More of a drinking persons pub, although food is served. Pets are permitted. Pets are permitted in both the pub and gardens. 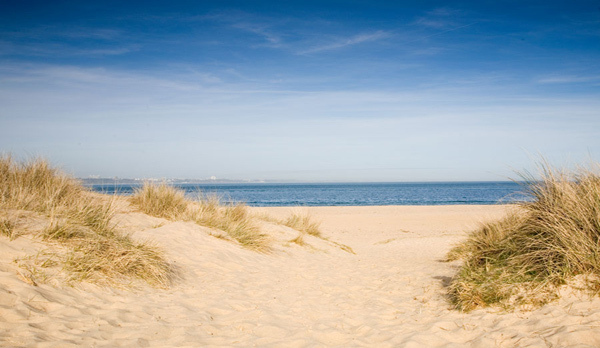 Lovely base for a stroll along Studland beach or through the rolling countryside. If Carling made pet friendly pubs this would be it. They love dogs – and its a good base to walk to The Cove. Why not email us with your review of pet friendly pubs in Dorset. Wilts and Dorset – Dogs are permitted on all buses, they normally only permit two dogs but this is at drivers discretion. Weymouth Buses – Dogs are permitted. National Express – Buses – Dogs travel free on this service. Steam Railway – £2 return £1 single for dogs on the Swanage Steam Railway. 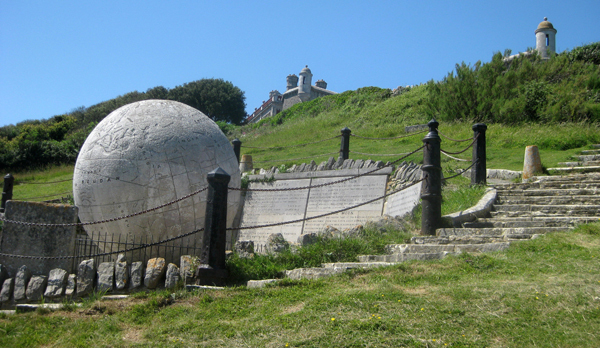 Durlston Country Park is also a National Nature Reserve with a wonderful visitor centre, exhibition gallery and cafe based in the Castle and lots of interesting features in the grounds (including a giant Globe and spectacular views) – and it’s ALL dog-friendly, you can even take your dog into the visitor centre! Do remember to keep your dog on a lead near the cliffs and where asked to on the reserve (as there are vulnerable wildlife in some areas). Moors Valley Country Park. 1000-acre Country Park and Forest with something for everyone. Adventure Play Trail with unique wooden play sculptures, Tree Top Trail, authentic narrow-gauge steam railway, Golf Centre, Go Ape high wire adventure course, restaurant and gift shop. Explore easy to follow waymarked trails on foot or by bike; bring your own or hire from the Cycle Hire Centre. Disabled access and facilities include wheelchair and mobility scooter hire (pre-booking required) and wheelchair bikes. A ‘Changing Places’ standard toilet with height adjustable changing bench and hoist is available at the Visitor Centre. The Rangers organise over 500 events for adults and children throughout the year. For children there are numerous holiday activities – from ‘Nuts about Nature’ wildlife discovery sessions to fishing tuition, adventure bike rides and bushcraft days. Adults can choose from a variety of guided walks and cycle rides, as well as the opportunity to try something different like Nordic Walking or Fitness Buggy Workouts. Details for all the events can be found online at www.moors-valley.co.uk. A favourite haunt for adults and children alike, you can’t fail to be captivated by these romantic castle ruins with breathtaking views across Purbeck. Discover 1000 years of the castle’s history as a royal palace and fortress. With fallen walls and secret places, there are tales of treachery and treason around every corner. Spot the ‘muder holes’ and count the arrow loops. Feel history come to life and see the wildlife which has set up home in these fascinating castle ruins. The castle, National Trust shop, 18th century tea rooms with garden, and visitor centre are open daily from 10:00am. Dogs welcome in the grounds on a lead. Welcome to Lulworth Castle and Park at the heart of the privately owned Lulworth Estate. Follow the fascinating story of this family home and the inspiring past of its dedicated owners. From the tower, discover breathtaking views over the Dorset countryside, picnic in the grounds, wander through ancient woodlands and explore the historically significant Roman Catholic Chapel of St. Mary’s also in the Park. During your visit feel free to participate in the lawn games such as pitch ‘n’ putt, swingball, giant jenga, noughts and crosses, and boules or indoors, especially for the children, the activity room and Hunt the Bat. Dogs welcome. Whatever the weather take a journey back in time and enjoyable day of excitement and nostalgia at the award winning Swanage Railway. Sit back and relax during a leisurely trip behind one of our historic steam locomotives. 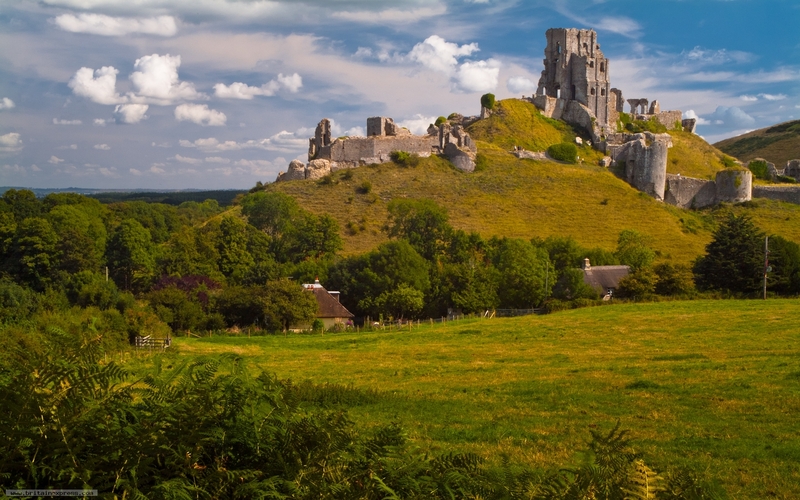 The 12 mile return trip takes you through the beautiful Purbeck countryside and includes stunning views of the iconic remains of William the Conqueror’s Corfe Castle. As you travel down to Swanage you can appreciate the rich history of the area, its abundant wildlife and fascinating geology as well as the influence the region had on famous authors such as Enid Blyton and Thomas Hardy. Steam trains run daily from April to October as well as most weekends throughout the year. In addition we run special galas and themed events. Dogs welcome in the grounds and restaurant courtyard on a lead. Elegant 17thC Italian inspired country mansion set in attractive formal gardens and extensive parkland. Stroll around the Japanese Garden, complete with authentic tea house or take a sheltered walk through the woodland. Spot our resident herd of Devon cattle and don’t forget to pop into the restaurant to try our home made cake and scones. Dogs on a lead. The only museum on mainland Britain solely devoted to dinosaurs, the award-winning Dinosaur Museum is a treat, especiallly for children. The musuem combines life-sized reconstructions of dinosaurs with fossils and skeletons to create an exciting hands-on experience. Multimedia displays tell the story of the dinosaurs and their enthraling prehistoric world. The Dinosaur Museum has twice been voted one of Britains Top Ten Hands On Museums and is a former winner of the Dorset Family Attraction of the Year. It is frequently featured in National Television including Blue peter, The Tweenies and Tickabilla. ‘Fleshed-out’ dinosaur reconstructions – including T rex, Stegosaurus and Triceratops – beg to be touched by little hands – and that’s encouraged. New reconstructions include the ‘sickle claw’ Deinonychus, two feathered troodons, and a pterosaur. The Dinosaur Museum is part of any Jurassic Coast experience. It’s individual and exciting approach has made it extremely popular with visitors. Dogs allowed in the grounds only on a lead. Built by Sir Walter Raleigh in 1594 and stately home of the Digby family since 1617, Sherborne Castle is a Historic House which reflects a glorious variety of decorative styles from over 400 years of English history. Come and experience the Castle’s rich interiors with splendid collections of art, furniture and porcelain. In the cellars see Raleigh’s original kitchen and family artefacts and archaeological treasures in the museum. Outside, the eighteenth century ‘Capability’ Brown landscape provides a peaceful and tranquil setting; with magnificent specimen trees, borders and sweeping lawns forming one of his finest Lake landscapes you will ever see.